Every business needs to have an online presence these days. That applies to child care centers and kindergartens. 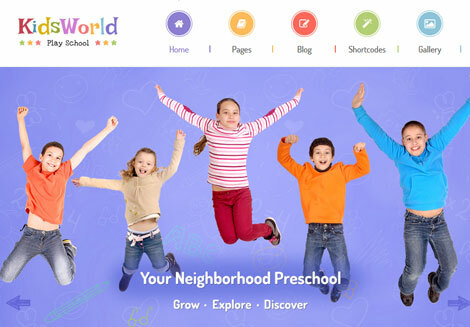 KidsWorld is designed to give your nursery, pre-school, child care center, and kindergarten site a makeover. It comes with a drag & drop page builder, mega menu system, and responsive design. KidsWorld is ready for Retina displays. It has wide and boxed layouts. The theme comes with an event management system and custom widgets for ads, social updates, and recent posts. The mega menu system lets you create a menu with 4 columns. You also get many Google Fonts and Font Awesome Icons to choose from. 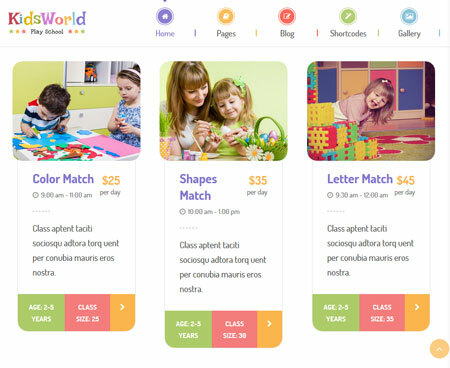 KidsWorld comes with customizable gallery and blog layout options. It comes bundled with the Slider Revolution plugin. This is a commercial theme.